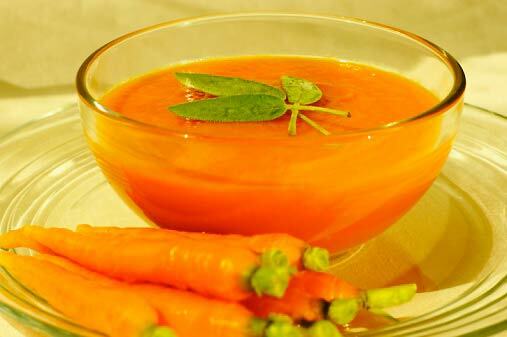 From mom Elizabeth Fournier comes this lovely soup that will help replenish and nourish the new mommy in the weeks after giving birth. Light and refreshing – it is especially wonderful in the heat of summer! Using a juicer, add enough carrots to make 3 cups, and make carrot juice. Next, cut avocado in half. Place the carrot juice and avocado in a blender, and blend until smooth. Put sprouts and parsley on top of the soup. Serve chilled.